The unifying factor. Read more about the cable products and services, which makes us a reliable wall-to-wall partner in the cable harness field. We deliver need-adapted solutions to any problem. 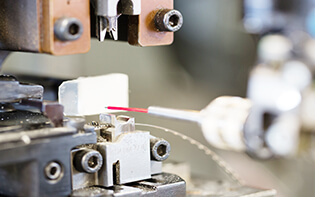 Experience and knowledge enable us to offer cost-effective solutions, but often it’s a matter of making a cable assembly more production-friendly and to choose the right component quality – not too high and not too low. What we offer must always be the optimal solution to your needs! We will help you with production setups and prototypes. We are aimed to please! With 40 plus years in the industry, our simplification and optimizing skills are universally recognized. A paramount prerequisite for success is that we are allowed in at an early stage. 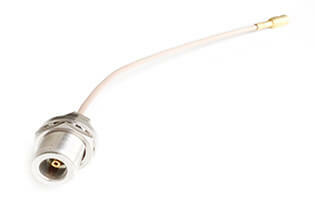 Based on performance and availability, we can – for example – suggest suitable connector styles, but also help out with purchasing plans for components with complicating minimum order quantities. Small and uncomplicated or large and complex – we have seen them all, and done them all. When it comes to production equipment, we use everything from basic hand tools to semi- or fully-automatic machines. You decide how the cables are bound together – we use tape, cable ties, lacing, or tubing. The simplest form of an assembly – a single wire with a terminal or contact in one or both ends. The volumes are normally large, and potent application tooling is needed to obtain production economy. At Tebex, two Komax Gamma 333PC units are the productions anchors with a number of bench machines as backup. A broad array of applicators makes it possible for us to kick-start most projects right away! Our strength in this field is flexibility and short lead times. 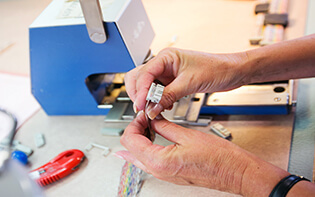 We handle all brands and connector styles in the market, and have specialized tooling for small or medium size batches. If you want your cable split, daisy-chained, or combined with other cable families, we are there to help you! 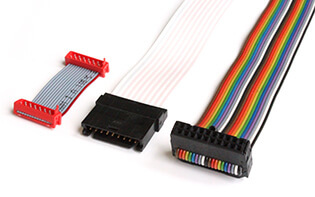 A specialty of ours is manufacturing of ribbon cables with TE Connectivity’s compact little Micro-MaTch connectors. Low weight, large transmission volumes, high speed, and need for total interference protection often leads to cable solutions including fiber optics. The demands for precision and craftsmanship are high – Tebex gracefully bridges the gap between desired function and physical execution. The number of styles, standards, and sizes is vast, but we cover them all. Our tooling roster, including Schleuniger cutting and stripping machines MP8015 and MP207, is state-of-the-art, and hence we can fulfil any customer demand for efficiency and technical excellence. A special niche for us, as many of our customers are active in the computer, IT, or telecom industries. 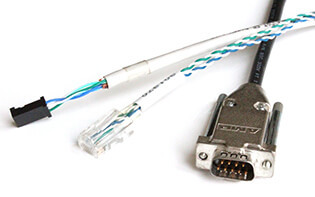 We offer seemingly simple standard cables, but appear to advantage when the going gets tough. 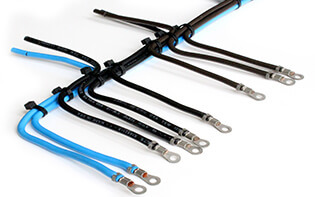 We thrive in complicated configurations and branched assemblies with modular plugs and coax, Sub D, or fiber optics connectors. All missions are unique. Get in touch with us to see how we can help! Below we describe some important process steps we use to ensure the quality, create a cost-effective solution, and minimize you own work efforts. We will carry your product from birth to delivery of packed and delivered assemblies! 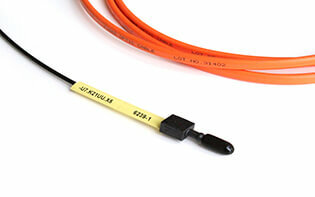 Are you feeling uncomfortable with designing your own cable assembly? Come to us instead! 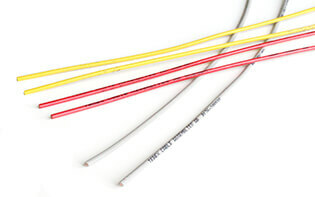 We know the name of the game and can provide you with a cable solution that is neat, slim-lined, and cost-effective. 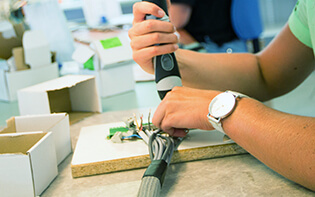 Close cooperation with Eskilstuna Elektronikpartner, a recognized supplier of electronics design and manufacturing, makes it possible for us to offer total solutions (naturally including production of cable assemblies and kitting). We can also take on harness design, component procurement, stock-keeping, and distribution. 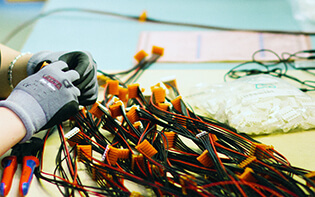 A natural next step after the cable assemblies have been produced is to connect them to PCBs and mechanical components. In our shop, some 600 square meters are dedicated for such commissions! Därefter sammanför vi de enskilda kablarna till kablage. Resultatet blir färdiga moduler, som kan hanteras rationellt och snabbt samtidigt som risken för felkopplingar är minimal. För att nå det resultatet krävs att kablagen anpassas till kundens slutprodukt. Dessutom ställer det stora krav på noggrannhet och funktionstester så att allt fungerar på det sätt som är avsett. Den enklaste formen av kablage är Single wires, som består av en ledare med kontaktpressade stift eller hylsor i ena eller båda ändarna. Vi producerar också slitskontakterade kablage på bandkabel (1,27 och 2,54 mm delning), FFC-kablage (flatkabel) koaxialkablar av många olika typer (tex BNC och SMB), och fiberoptiska kablage på såväl plast- som glasfiber. Klippning och skalning är det första steget vid allt arbete med kablage.